We don’t have an office in Minnesota, but we are working to change that. Help us bring the Best Buddies mission to our great state! Best Buddies is actively engaged with the Minnesota community in our goal to bring friendship and inclusion to the North Star State! Our growing, dedicated Volunteer Board is laying the groundwork for a successful and sustainable future for Best Buddies in Minnesota, but they can’t do it alone. Our immediate goals are straightforward: further create awareness about the organization, and fundraise $250,000 to establish a permanent office in Minnesota. Reaching our goals we will enable us to open Best Buddies chapters across the state and deliver our mission of inclusion at the highest level. 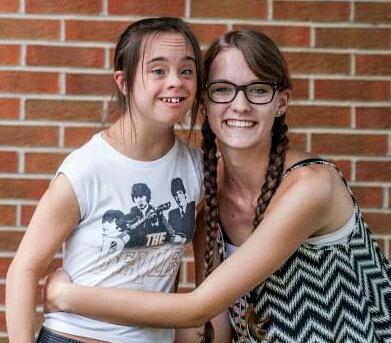 Best Buddies provides the opportunities for long-lasting, meaningful friendships between people with and without intellectual and developmental disabilities (IDD). With your help, we can bring smiles, laughs, and create a more inclusive Minnesota community. Please join Best Buddies Minnesota for our first ever Ambassador training! By attending an Ambassador training, you are taking the next step of involvement in Best Buddies. Join us at the Champion of the Year Gala, an event benefiting Best Buddies in Minnesota. Along with food, drinks, silent auction, and live music, the evening will be filled with friendship and celebration as we crown Minnesota’s Champion of the Year.